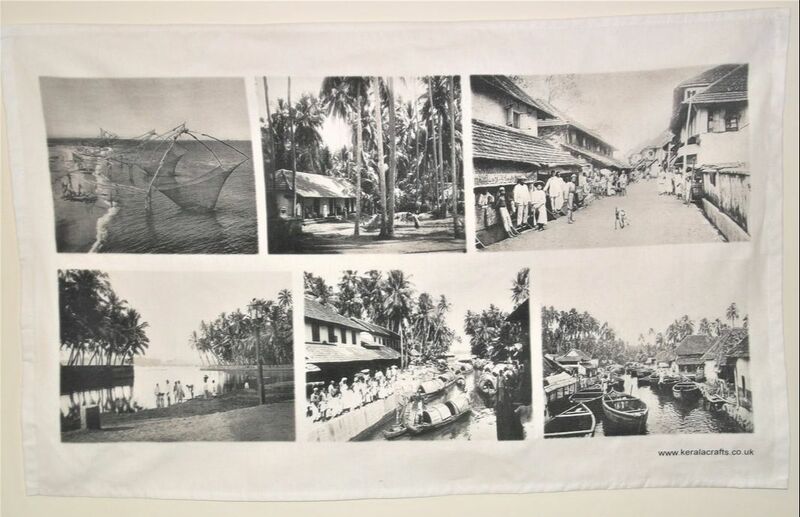 This decorative yet practical tea towel depicts nostalgic prints of Kerala in the early 1900’s, including: Chinese fishing nets in Cochin, Kannur beach, a canal and bustling street in Fort Cochin, a rural women’s hospital and the boat jetty in Ponnani. A ‘must-have’ if you want a reminder of a great holiday in Kerala. Wash at 40 degrees max. by evocative images of a by-gone era. stitched and printed in Kerala.